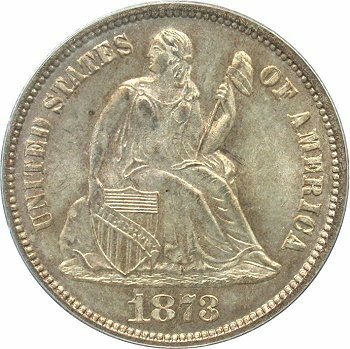 Comments: Examples from this die pairing are typically well struck. 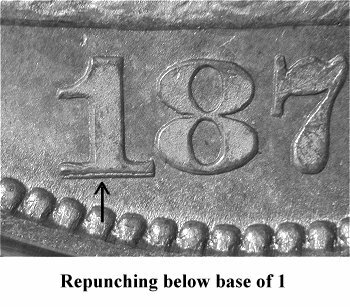 The repunching under the base of the 1 digit is easily detected. 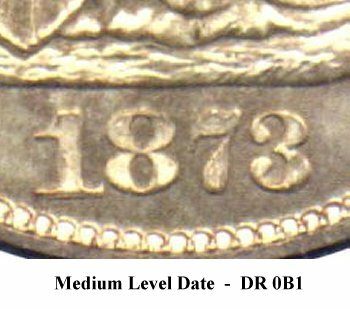 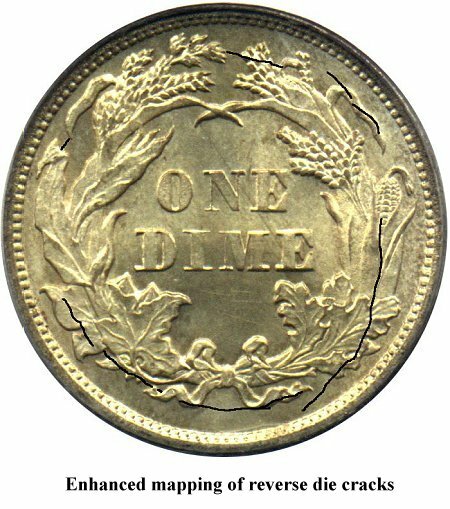 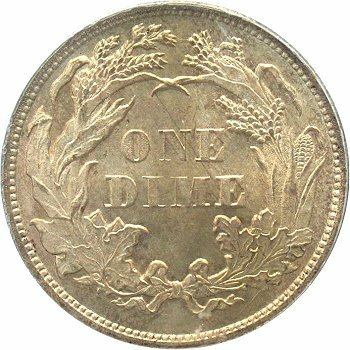 Reverse E exhibits die cracks throughout the left and right wreath elements.